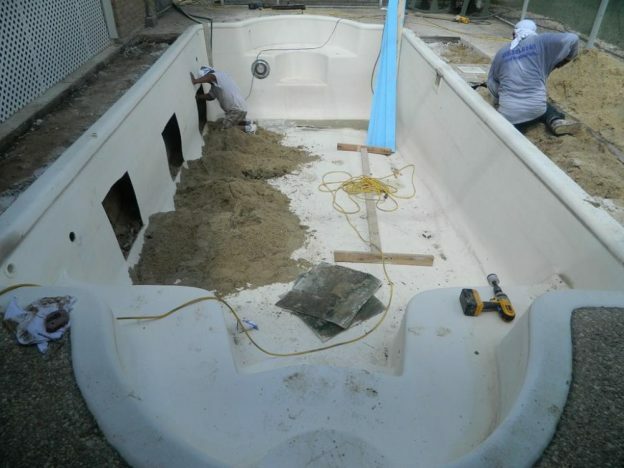 Baton Rouge LA Pool Remodeling Job - Texas Fiberglass Pools Inc.
Texas Fiberglass Pools Inc. brought beauty back to this swimming pool in Baton Rouge, LA. This swimming pool had bulging on the deep end due to the improper use of sand as the support material during installation. The sand which had settled was replaced with durable gravel, which repaired the bulge and should provide a steady support system for years to come. 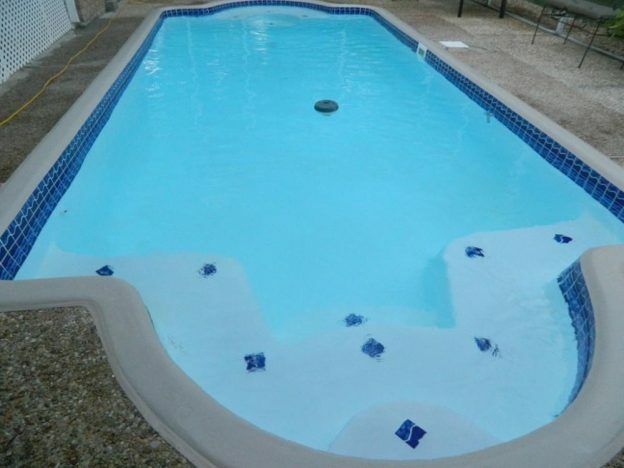 The pool had fiberglass pool resurfacing applied to the entire interior giving it a like new look and feel. The final touch in making this pool match the client’s vision was to add a 9 inch band of tile around the pool as well as placing decorative tiles on the steps and floor of the pool. The homeowner says she loves entertaining in her back yard again!